Handling the HVAC needs of businesses and commercial properties is a lot like being a traffic cop. It takes experience, expertise and quick thinking under pressure. Your attention needs to be everywhere—at all times. At Texas Air Authorities, we’ve been working with commercial customers for decades. We know that a well-designed, professionally installed and properly maintained HVAC system is essential to a business’s success, creating a comfortable work environment and significantly reducing energy costs. When you consider that the HVAC system uses 40 to 60 percent of the energy in most commercial buildings, it’s surprising that some business owners don’t give it the time and attention it deserves. 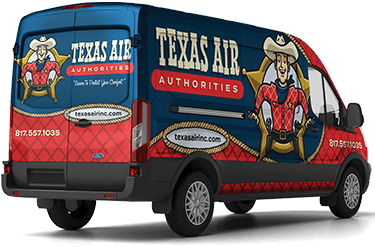 At Texas Air Authorities, we install, repair and maintain all types of HVAC equipment to help our clients stay competitive and achieve their short-term and long-term goals. We are the premier provider of commercial cooling and heating services in the Arlington, TX, area and beyond. We are the authorities when it comes to providing reliable, fast and affordable solutions for your HVAC challenges. We offer custom-designed maintenance plans for businesses and commercial properties. These plans will keep your systems operating safely, economically and efficiently even through the most challenging days of the summer. You can examine the evidence here. To learn more about the benefits of routine maintenance or to schedule maintenance service, call 817-402-3576 or fill out our online form today! Texas Air Authorities is proud to protect and serve a wide range of customers, including businesses and homeowners. We have the HVAC smarts necessary to solve even the most difficult HVAC or IAQ case. Count on us for all of your comfort needs, including AC replacement and installation, AC repair, AC maintenance and more. Give us a jingle at 817-402-3576 or fill out our online form.